GPS Notification messages will pop up on your users' phones, even when the app isn't running. 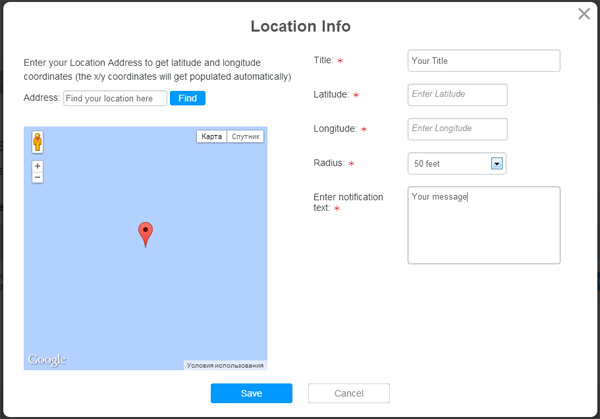 Your customers will receive alerts whenever their personal GPS locator device leaves or enters a Zone. Notifications are managed through the "Notifications" tab in your App Management Panel. Go to the "Notifications" page and click "Add GPS Notification".